Over the last decade, Cristiano Ronaldo has devoted himself towards his constant search for perfection. The modern game has changed over the years and Ronaldo evolved according to the limits of his body and to suit the needs of his teams. Even at the age of 33, much was expected from him when he announced a sensational move from Real Madrid to Juventus and he has not disappointed so far. Being a defensive league, Serie A is relatively tougher for attackers and is known for its tactical superiority in Europe. But Cristiano Ronaldo has not taken up any time to settle down under a new coach, with a new set of players and in a brand new league. In fact, he is the top scorer with 10 goals in 14 appearances. Cristiano Ronaldo has obviously proven himself to be an ever-existing threat for world-renowned defenders over the years. His records and statistics at Real Madrid are seemingly untouchable and will stay like that for years to come. But as his move to Juventus was finalised, there were questions about his dominance in a new league at his age when players usually choose a relatively easier, less demanding league. 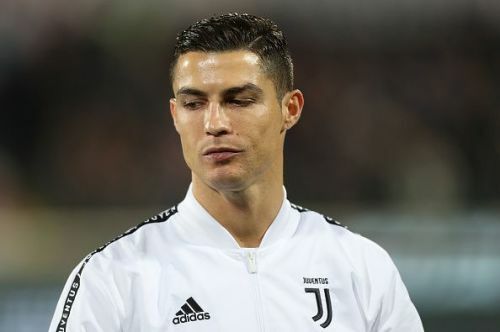 But what has been a monotonous notion for more than last 10 years, Cristiano Ronaldo again proved the naysayers wrong with his exploits at Turin. Juventus are flying high and breaking records, thanks to an unstoppable start from their recent talisman. They are the only side in the history of Italian football to reach 40 points in just 14 games. Cristiano Ronaldo's spectacular start to the season has been better than legends like Diego Maradona, Van Basten and Ronaldo Nazario. Even the likes of Zlatan Ibrahimovic and Michel Platini had failed to deliver such an incredible start to a new season. 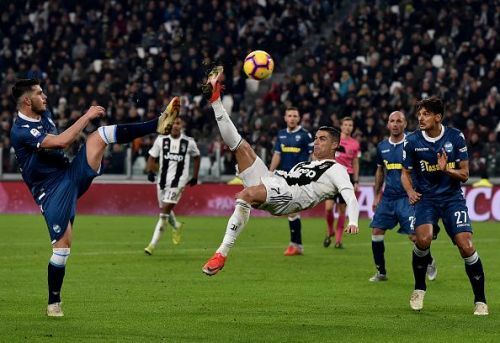 In addition to that, Ronaldo equalled a 61-year-old Juventus record in becoming the first player to score 10 goals or more in his 14 appearances in their first Serie A season since John Charles in 1957/58. Cristiano already had his say in 17 of the 39 goals scored by Juventus in all competitions in the current season so far. The champion from Madeira found himself on the scoresheet for the Italian giants against Fiorentina this weekend and became the third player to score in 5 consecutive Serie A away games in this century. He has also participated directly in at least one goal for the Old Lady consecutively for 11 games. Evidently, Cristiano Ronaldo is on a spree when it comes to breaking old records and writing his name in the history books. He has continued in his world-class manner with Juventus so far as he still manages to terrorise opposing defences with relative ease and have the most impact than any other player on the pitch. CR7 is not getting any younger and it is only a matter of time before he finds himself not performing at his usual standards. But he is successfully proving that he can still rack up staggering numbers upfront and is yet to burn out or fade away from the very pinnacle of world football.